S & C Window Repairs was established in May 2014 by husband and wife team Steve and Clare Olley. 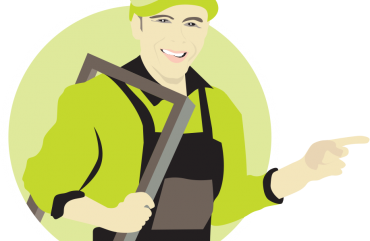 Prior to setting up their own business repairing windows, doors, conservatories and fitting accessories such as locks, hinges and seals, Steve ran a similar venture as a franchise. 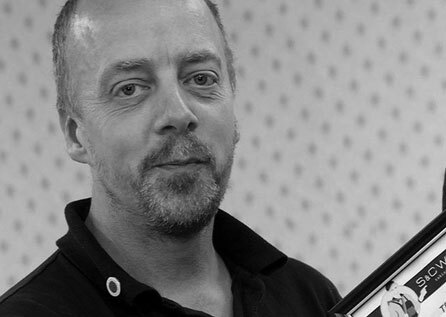 Based near Fakenham and now operating his own company with Clare, he draws on 20 years’ experience in the door and window sector to offer a first-class service. With a friendly, reliable and personalised approach, S & C Window Repairs covers the whole of Norfolk, providing a comprehensive door and window repair service to the domestic and commercial market. Windows and doors are an important aspect of your home providing character, insulation and security. Yet they can develop faults with misted panes, broken hinges or faulty seals but rest assured, help is at hand through S & C Window Repairs. We specialise in repairing doors, windows, locks, hinges and replacing damaged conservatory panels or unsightly misted panes of glass to help ensure your home remains smart, safe and secure. No job is too small and with 20 years’ expertise in repairing double-glazed and sealed-unit windows we know that an effective repair can give windows a whole new lease of life. Our goal is to provide an honest, reliable and efficient job for you. S&C Window Repairs has years of experience and offer an affordable alternative to buying a replacement window. With our extensive expertise and flexible approach, we have the versatility to take on a wide range of jobs on both domestic and commercial premises. Whether that is simply replacing a hinge or mending a lock at a house to dealing with an array of misted panes on commercial properties, we have the knowledge and equipment to tackle any type of window or door issue. That can range from houses and bungalows with windows and doors of all ages, styles and designs to commercial office and retail premises with modern fittings. Our clients also includes hotels, schools, offices and care homes and we can also offer a support service to landlords that have a portfolio of properties that need regular checks or maintenance on windows, locks, handles and doors. With free quotations, our prices are competitive and our service top-notch. When you see condensation or misting between the panes of glass in double glazed window the seal round the glass has failed. The solution is to replace the glass without the need for a whole new window. Our specialist window repair service covers everything from draughts and leaks to broken hinges, misted glass and stone chips. Misted glass or condensation between the panes of a sealed double-glazed unit is a common problem and usually a result of a broken seal. Another issue is glass chips, often caused by a small lump of stone thrown up from cutting the lawn. In both instances we recommend replacing the pane, which is easily carried out and a cost-effective way to ensure your windows look as good as new but without having the expense of replacing the whole unit. We can mend broken handles or hinges, fix or replace damaged locks and ensure that the windows remain secure, yet easy to open and looking at their best. The replacement glass we use includes clear, patterned, toughened, leaded and Georgian bar windows and we can upgrade standard windows to A-rated windows without removing the frames, merely by changing the quality of the glass. Draughts can be a frustrating issue but we can resolve those quickly and easily, usually by adjusting or replacing a hinge. Our service also covers replacement gaskets for windows and trickle vents, fitting window restrictors to a child’s bedroom or making simple adjustments as from experience, we know a sticking UPVC window may even only need minor re-setting to ensure it opens easily and closes securely. Our comprehensive approach to ensuring your home is secure, yet stylish, also includes repairs to doors. We can carry out repairs to UPVC doors, resolve draught issues and replace gaskets (rubber seals) around your doors as well as mend your garage door fittings too. A door can become unusable because of a faulty handle or broken lock mechanism, but we can resolve that quickly and efficiently to ensure your door is again working properly but without you having to go to the expense of buying a whole new door. For doors that stick, or do not lock properly, we can bring them back into use in very little time by adjusting hinges or replacing locks. Our service extends to mending damaged letterboxes, or replacing them all together if necessary and fitting cat or dog flaps. And if the cat flap is no longer required, we can replace it with a perfectly fitted matching panel. 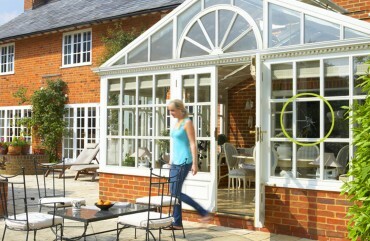 Part of the service we offer involves looking after conservatories and orangeries. We can replace misted panes or conservatory roof panels as well as repair locks and hinges on windows and doors to ensure you continue to get full use from your conservatory. In addition, we can apply the same high level of expertise to patio doors too..
We are the premier window repair company in Norfolk. Save money by repairing damaged windows rather than replacing them. We repair stiff or damaged door handles and hinges. We provide a friendly and reliable service underpinned by experience and expertise. With a free estimate of the work required, we will come out to you for the smallest jobs – such as a single window handle that needs repairing – with no call-out charge on top. We believe in providing an honest service to repair windows in the most cost-effective way, often doing the work there and then in a single visit. We also give advice on how to keep your doors and windows in the best working order with guidance on when, and where, to oil to keep all moving parts working freely. With more than 20 years’ experience in working with windows and doors, S & C Window Repairs is qualified to provide an efficient and first-class job that will extend the life of your windows, doors and conservatories. If you need work carrying out on your windows and doors, ring us on 0800 160 1932 or 01953 525049. We’ll call you back straight away with an appointment, visit you to assess the work and offer a quote, advising you on the best course of action, outlining exactly what is required if the windows or doors need repairing. Straightforward repairs can often be carried out there and then as our vans are well-stocked with spares. 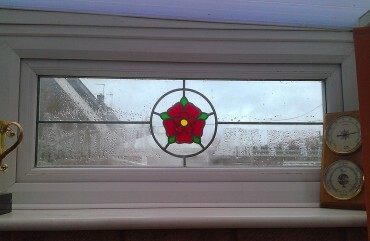 Glass, cut to size, and specialist parts must be ordered but will be ready for us to fit or install within a few days. We also carry out work on double glazing installations that are out of warranty and are happy to work with double glazing firms to offer this extended service to their clients. Professional Window Repair company Affordable window and door repair service in Norfolk. I started my career as a 16 year old trainee fabricator fitter welder fabricating and fitting anything from hand rails, staircases, gates to burglar bars and shin rails. I have worked across the London parks, the Houses of Parliament and the royal palaces. I also worked for Haringay Council on anything metal, such as security gates, railings, garage doors and crittle windows. 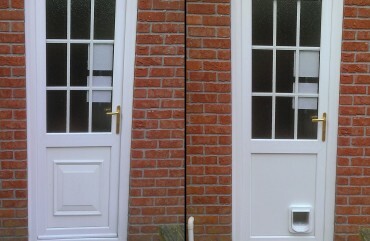 I started working with UPVC windows as they replaced the crittle ones. I have had to learn on the job as each set of UPVC windows at Haringy was often from a different firm with different stays, handles and locks. I learnt how to repair them by basically having a go. This is where I started to develop the skills I am using in my business today. It also gave me the confidence to look at a broken window or lock and know that in most cases I could repair or replace it. In April 2011 my wife and I gave up our London jobs, sold our house and moved to Norfolk, for a major change in life. 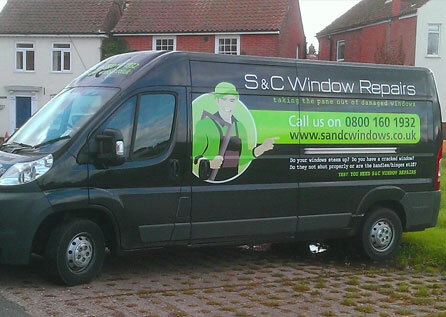 We wanted to start our own business and in April 2014 we set up S & C Window Repairs. For the future we would like S & C Window Repairs to be established as the name people recognise as the local reliable window repair service to go to and would recommend to family and friends. 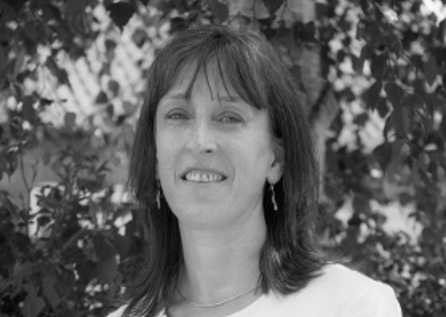 I have a background in administration and have worked in various organisations from a children’s activity holiday company, a private hospital, local further education college and the University of East London. Along with S & C Window Repairs, I currently work part-time in a local business. My role in S & C Window Repairs is to process the orders and payments, to keep the books and paperwork up to date and help out on the occasional job with Steve. We are looking forward to taking the business from strength to strength as we grow our customer base and become an established name for honest reliable window repairs in Norfolk. Our trusty steed which enables us to fix windows, doors and conservatories in Norfolk – no matter what their size. I didn’t know a window could be repaired so when I heard about S&C Windows it was cool. I saved hundreds of pounds!. 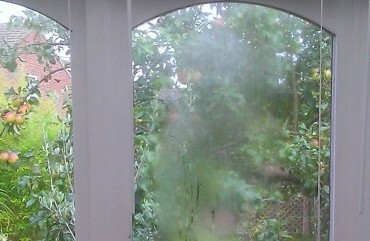 For years we had a misted UPVC window in our conservatory as we didn’t want the expense of replacing it. We saw a drop mail leaflet from S&C, made a call and Steve came out quoted. It was no hassle and the window has been repaired and looks like new! I asked Steve to look at a double door we have at home, leading to the garden. For as long as I remember, the doors have been sticking and required a big push and slam to open or close. Steve came around and assessed the door, making a variety of adjustments…and now we do not need to fight the door in order to enter the garden! I would not hesitate to recommend him further. No hassle, sound advice and a great job, thank you. I’ve recently used S and C Windows; I needed 2 door locks replaced and welcomed Steve’s knowledge of what I needed. He knows his stuff, was prompt, polite and reliable. Excellent value for money and it’s left me very impressed. I’d highly recommend his services. I have been living at my property for four years and got to the point where I’d had enough of sticking windows, handles that wouldn’t lock, windows that wouldn’t shut and seals that were rotten. I had a couple of quotes then called Steve Olley. He was there on the same day, checked what was needed and within the week all new parts were fitted. The job was spot on, his customer service was excellent, and exceeded my expectations. I would not hesitate to recommend Steve and now have the peace of mind that my property is secure. Would you like to know more about S&C Windows?